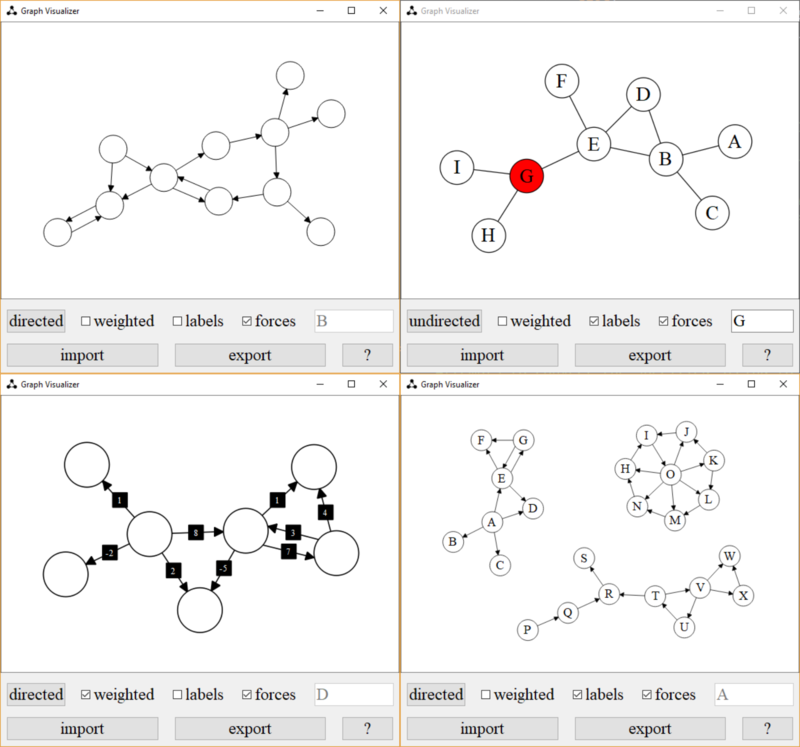 The app aims to help creating, visualizing and exporting graphs. It is powered by PyQt5 â a set of Python bindings for the C++ library Qt. Before running the app, make sure to: - have Python installed. - install the PyQt5 library by running pip install pyqt5 in your terminal.